Are you deeply connected to your plants and check up their development practically every day? If this is the case, then you are probably an excelling tomato pruner. 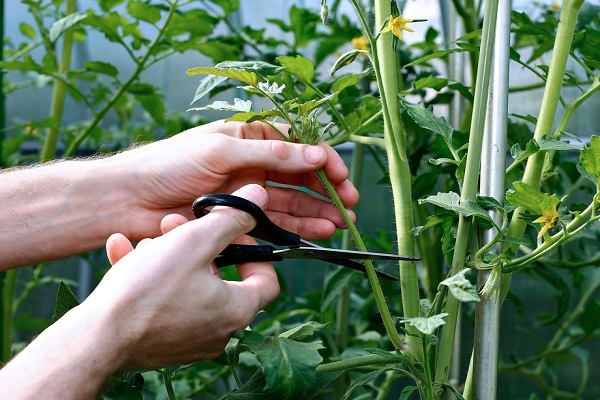 Pruning tomato plants is an alternative method that certain gardeners use to keep plants neat, change the fruit size, and even adjust the ripening speed. There is one big catch: Only indeterminate varieties that produce new leaves and flowers constantly through the growing season, should be pruned. If you prune determinate varieties, it may negatively affect the harvest. We issue a warning, though: Don’t prune tomatoes when leaves are wet since can help spread diseases. – Enhanced airflow and immunity. By having fewer leaves, pruned plants are less dense, enabling more air to go through the plants. The leaves dehydrate sooner after a rain, so they are less exposed to the diseases that require more moisture to grow — a thing that can be extremely useful in wet climates. Furthermore, if it has less leaves it would be easier to see insect pests that might normally be hidden by a thick canopy. – Larger fruit. Pruning at the proper time directs energy toward forming and ripening the fruit rather than create more leaves. Pruned plants can be put a bit closer together in the ground due to the fact that the growth is so vertical, you’ll have space for additional plants to make up the difference in harvest numbers. – Remove the lower leaves and any flowers when planting so you can bury plants deeply into the soil and direct the energy into leafy growth. 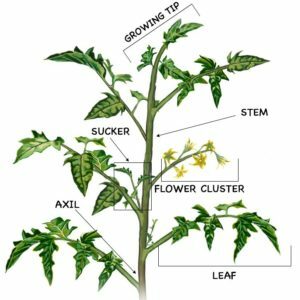 – Until plants are 12 to 18 inches tall, remove flowers and all leafy suckers beneath the first fruit cluster so that plants can direct more energy to the roots. – As the end of growing season is approaching, tomato plants are usually still rich with fruit. To accelerate the ripening late in the season, remove the growing tip of each main stem about four weeks before the first expected fall frost. Referred to as “topping,” this kind of pruning makes the plant to stop flowering and setting new fruit, and instead directs all sugars to the fruit that’s left.